Pakistan Printer Censors Entire 'New York Times' Front-Page Story - trendistic.com: ever tried. ever failed. no matter. try again. fail again. fail better. 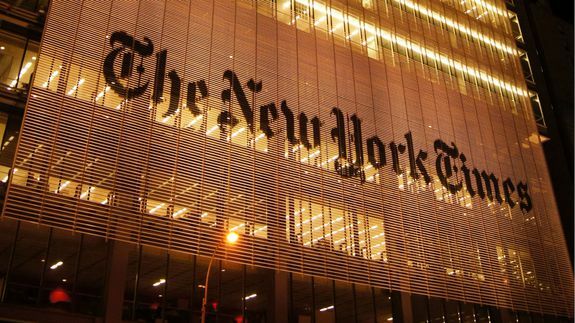 Pakistani readers were not able to see the International New York Times‘ front-page story, as it was censored by the newspaper’s local printing partner. Can BuzzFeed’s Ad Guru Bring Listicle Magic to the Daily Mail? The man who helped BuzzFeed usher in the era of native advertising on the Internet is ready to awaken the quiet giant of U.S….